Most football fans are not great tacticians; otherwise, we would all be coaches. Rather we take our pleasure from seeing our team score goals, and nothing is more exciting than seeing a true scorcher hit home. However, before the goals comes the build-up, and across the length of a game there is a huge amount of action other than goal scoring. It is the managers’ job to put together and coach their team tactics that will lead to the exciting goals. A manager must make the most of the players available to him and adapt the tactics to suit them. Over the years this has led to some fantastic tactical innovations that have helped elevate football to the amazing heights it has reached today. Here we will take a brief look at some of the best of these innovations. For many, Total Football represents the greatest tactical development of the last fifty years, and it is also the foundation upon which the possession-based style of play is built. 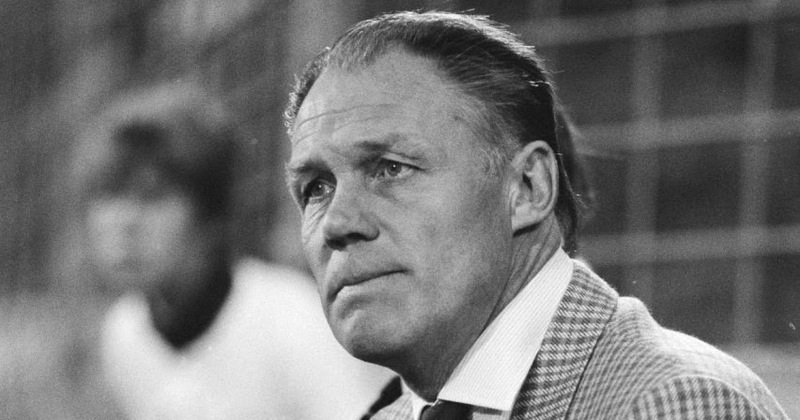 Total Football was developed by Rinus Michels at Ajax in the 1970s. It is based upon two main concepts, the use of space and the tactical flexibility of players. The central idea is to continuously switch players’ positions in order to confuse the opponents and break apart their marking. Using his system, Ajax won 4 consecutive league titles and a European Cup between 1965 and 1970. When Michels coached the Netherlands national team, they reached the 1974 World Cup final using the system. This system was central to exposing the problems with the Catenaccio (Chain) system that relied heavily on man marking. 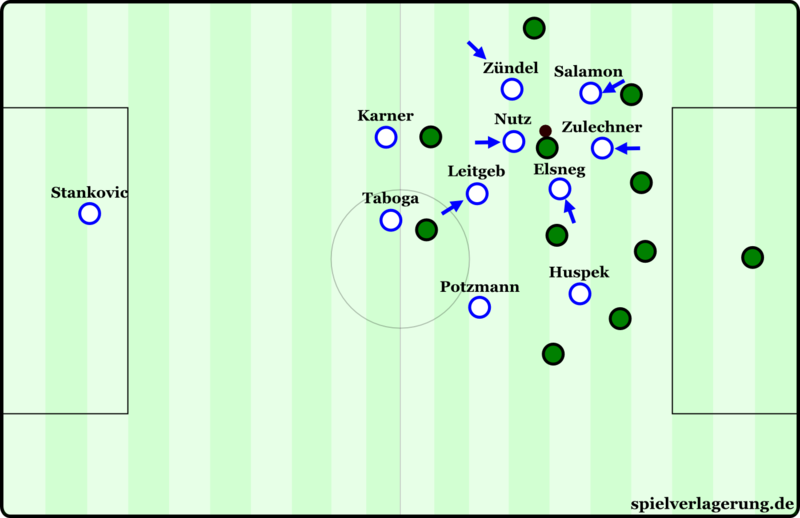 With players forever switching positions, the opposition defence was frequently left out of position when they tried to mark their assigned players, leaving space for the attackers to score goals. Total Football requires players to have an excellent sense of positioning as they need to switch throughout the game. It also means that players must be flexible enough to play in the positions that they occupy in order to make the most of the system. Generally, Total Football is played using a 4-3-3 or a 3-4-4 formation, and players change positions vertically down the ranks, rarely horizontally across the pitch. Many consider Johan Cruyff to be the best exponent of the system, both as a player and as a manager. Cruyff would play as a deep lying forward and was excellent at creating spaces for his teammates to exploit. The ability to find space is crucial to the system and as a manager, he put together the Dream Team at Barcelona in the late 1980s using this system. To this day they are still considered one of the best teams of all time. 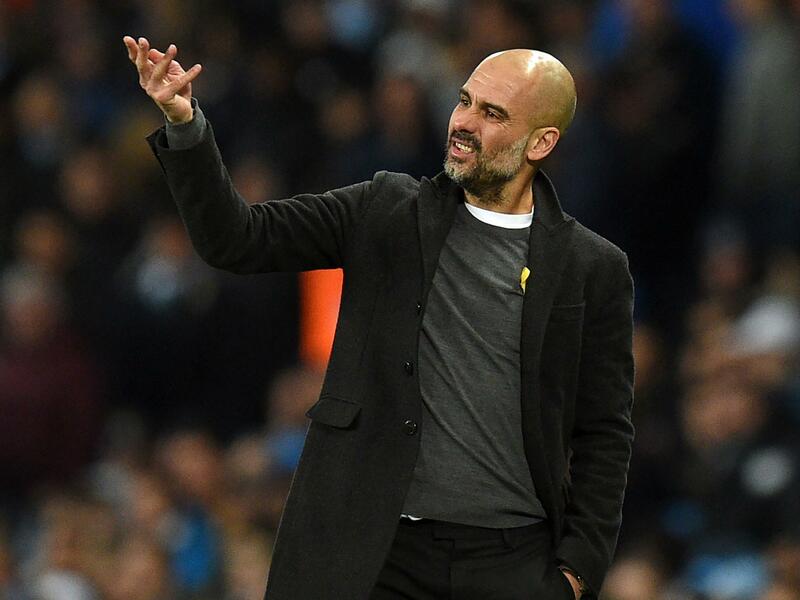 It is still possible to see the influence of Total Football in the coaching styles of some of the best current managers, such as Pep Guardiola, Marcelo Bielsa and Maurizio Sarri. In the modern game, False 9 has become a hugely popular tactic thanks to its excellent implementation by Barcelona’s star player Lionel Messi. However, the tactic can actually be traced right the way back to the 1930s. As the name suggests, the False 9 is the complete opposite to the traditional no.9, a player who usually plays at the back of the defenders as a centre-forward, and whose responsibilities include playing on the back of opposition defenders, making runs for through balls, intercepting crosses and scoring goals. The False 9 is a player who drops deeper in order to create and then exploit space between the midfield and defence lines of the opposition. The idea of the False 9 is to create uncertainty in the opposition defence, as the defenders will be confused by the idea of following the striker deep into the midfield. If that happens it leaves a space in the opposition defence, which can be used by the attacking wingers to move inside and score. By dropping deep the forward also gives extra options to the midfielders to form triangles in the centre of the pitch, which is exactly what Guardiola told Messi to do in the Tiki-Taka system at Barcelona (see below). False 9 was first used by the striker Matthias Sindelar for Austria in the 1930s. It was also used by the Hungarian forward Nandor Hidegkuti in the Mighty Magyars team in the 1950s. Very often you will see that the tactic uses players that are not fit enough to be a traditional no.9 due to their size and strength. Messi is probably the best example of this tactic to date and he has used it to amazing effect to score a huge number of goals and provide numerous assists throughout his career. 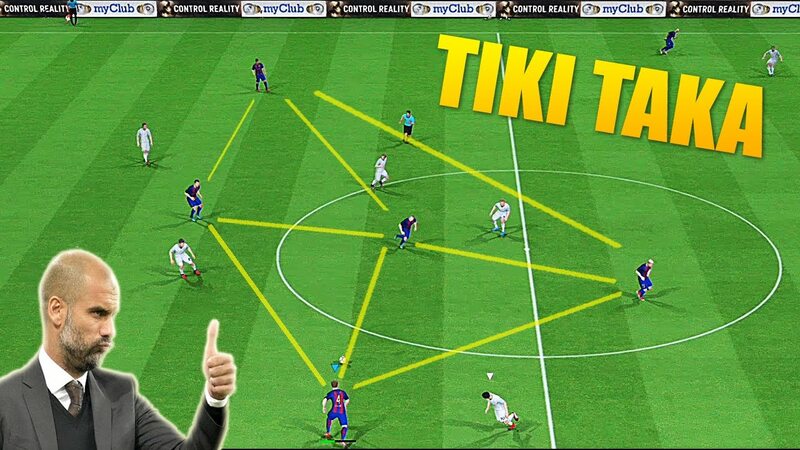 Tiki-Taka is another candidate for being the best tactical innovation of modern times. Its roots can be found in the Total Football system used by Cruyff at Barcelona, and the team are certainly the best exponents of Tiki-Taka football. When Pep Guardiola became manager at Barcelona he used his own ideas to develop a system that was based on Total Football, but relied more heavily upon passing. He focused less on exploiting the space every time and put more emphasis on retaining the possession of the ball by passing it around. Tiki-Taka relies heavily on making short passes all over the pitch in triangular patters. It requires the team to be excellent at passing, and to be aware of exactly where their teammates are at all times. It borrows the high defensive line from Total Football, as this helps the midfielders form patterns suitable for short-range passing. It also makes use of the idea of positional interchange. At first Guardiola told his players to stay in their positions until they reached the final third of the pitch. The build-up starts with the goalkeeper and the ball is moved across the pitch in a triangular pattern. After the players breach the final third of the opposition Guardiola allowed them the freedom to leave their positions as needed and score goals using one-twos or through individual efforts. For evidence of the system’s effectiveness one just needs to look at Barcelona’s 2009 when the team won six cups followed by another Champions League title in 2011. A rough translation of ‘Gegen’ from German is ‘counter press’. The ‘Gegenpressing’ technique is a form of pressing that has been popularised by the current Liverpool manager Jurgen Klopp since his days with Mainz 05 and Borussia Dortmund. The tactic is based upon the idea of pressurising the opponents into making a mistake by pressing heavily against them just after they have won possession. While pressing has been used as a tactic since the advent of Total Football in the 1970s, different managers have had different ways of using it for different purposes. In the late 1980s the legendary Italian coach Arrigo Sacchi used the pressing style of play at AC Milan. Pep Guardiola has also been known to use it as a way of winning back and then keeping control of possession. However, Klopp is distinct in that he uses pressing as an attacking tactic, but applying continual pressure to the opposition in order to create easy goal scoring opportunities. The tactic requires players to move in close packs by using short-range passes. This means that if they lose the ball they should be able to retrieve it immediately by surrounding the opposing player who gained possession. Gegenpressing has a number of advantages and disadvantages. Firstly, it requires every individual on the team to carry out their duties when the team does not have positon. Furthermore, the players also need positional sense and high intelligence so that they know when to stop pressing and regroup in a defensive formation. If just one player neglects his pressing duties then the opposition may have the space to move the ball out of tight areas and begin counter attacks, and this can lead to the collapse of the entire structure. Furthermore, it also needs the players to be continuously on their toes and doesn’t give them much time to rest, so stamina becomes incredibly important. However, one just needs to look at some of Liverpool’s recent results to see how effective it is. For example the way they overcame Manchester City in the Champions League last season. The rest of this season should show just how effective Klopp’s system really is.